Thanks to a radical breakthrough by TruTester Labs, The List now expands Dr. Goodheart's basic two-word Yes / No vocabulary to include nearly 11,000 insightful words and phrases. As a result, you can quickly access the subconscious mind for a drastically increased spectrum of awareness beyond what has previously been achieved or even thought possible. 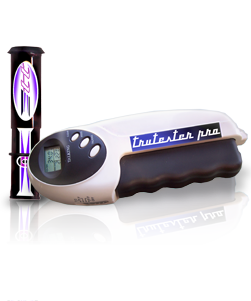 Using the TruTester kinesiology tool, you first make an inquiry and then perform a few easy tests to find your answer on The List. This simple process quickly delivers accurate and sophisticated responses, directed by your own omniscient subconscious mind. “As soon as I read this a light went on. I realized the real problem wasn't my friend taking my lawnmower but that he was violating and misusing the twenty years of trust between us. What was really bothering me was his sudden and unexpected emotional betrayal. And then the traumatic scenario he had not been able to process twenty years ago came rushing back. As a young boy during the Gulf War he had seen his friend the butcher brutally killed; his arms and legs tied to two Jeeps as his murderers pulled him apart, driving in opposite directions. Even deep hypnosis had not uncovered this painful buried memory. But The List revealed it all in just a few minutes. The List has brought me a lot of insight. Glad I purchased it. Has helped me pin point a health condition. It has even helped me gain contact with my guides and other helpful entities. Your work truly gives me ideas in many new ways that I'm not sure anyone has explored.. For a year I studied kinesiology and had issues with having to have another person there to do muscle testing. Didn't like the idea of having to always have some one help and I didn't have the privacy. I knew in my heart that there had to be an easier way, and one more efficient. So I meditated and the following day your TruTester site popped up. Didn't know what it was at first, but like all other things I have discovered through meditation, sometimes ya gotta go with your gut. Not something I do very often but sometimes it's very overwhelming. The TruTester brings me into a lot of new discoveries weekly. Not everything I look for becomes clear to me, but without the TruTester and your help none of it would be possible. thanks for everything. The TruTester has been amazing so far! I've been doing Nutrition Response Testing (NRT) for a while now, and in NRT AK is used to test supplements and foods. Now I can check myself between visits to determine whether I need to stop a supplement, add a supplement to the mix, or adjust my diet. THANK YOU!! bro!...my sister gave me a HANDBOOK today...she gave me the “Desk reference to the diagnostic criteria from DSM” without me asking...Its a handbook/reference book for Psychologists...I think its a sign that psychology is what i am supposed to be learning about now...and Im now a full blown believer in the TRUTESTER! 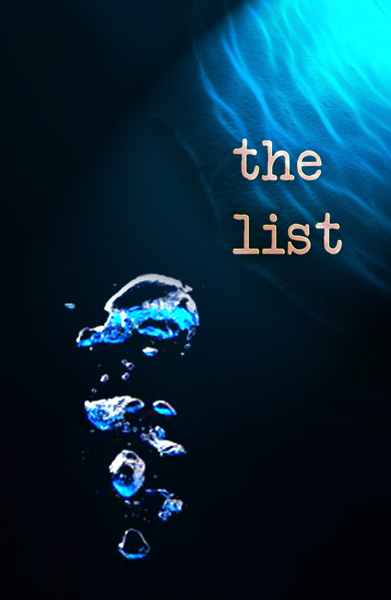 Loved both “The List” and “God is an Equation”! They will be of great help to me, thanks for sharing your personal experiences. As I have told you before, but have to repeat...JUST LOVE YOUR SENSE OF HUMOUR...Sorry, I guess that should be humor LOL. Wow! 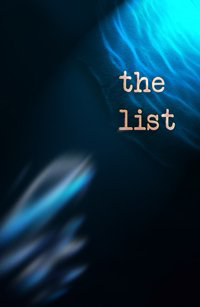 Dusty I am part way through “The List” pdf and LOVE IT! I have tried using similar techniques in conjunction with a pendulum, but as it's so easily affected by our desires and beliefs I have not developed sufficient trust in it except when using if for strangers. Then it's usually easy to remain detached. But now I am sure things will change for me! I can see that a combination of pendulum and T.T. will be a wonderfully powerful force! Because I can use charts to narrow things down then check with the T.T. (As well as periodically during a search). I'm really looking forward to utilising your invention and ideas to help others with EFT and SRT (Spiritual Response Therapy) ...THANK YOU DUSTY!!! I love The List and read with great pleasure every single story - and was dying for more at the end... Thanks! What answers are waiting for you?